Quality bath resurfacing with a 10 year guarantee, serving Solihull, Birmingham & across the West Midlands. We offer a wide range of services to all sanitary ware, including chip repair, the repair and relining of broken cisterns and full restoration of broken cistern lids. We also offer the removal of cigarette burn marks and scratch removal from acrylic and UPVC, bath chip repairs as well as the installation of anti slip systems in baths and full tap restoration. We regularly work in domestic homes, stately homes, hotels, university (accommodation) hotels, cruise ships, architectural salvage yards and with interior designers throughout the U K.
Chip, crack and scratch repairs to all types of baths, basins shower trays, worktop and UPVC windows. The Worldwide System uses only patented quality coatings, originally developed by NASA. This is a lead-free urethane enamel which is acid resistant and very durable. 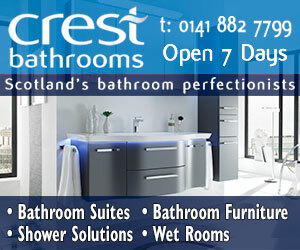 Bathroom resurfacing is a permanent solution to worn baths and damaged sanitary ware. The process is carried out to a high quality specification ever mindful of providing excellent customer care. Our refinishing system is carried out with minimal disruption to the surrounding area, no mess or upheaval, and no need to remove any plumbing, taps or fixtures and fittings. As well as Bath Resurfacing, we offer a re-enamelling service fired in the furnace. Old cast iron baths can be to their former glory and original finish by vitreous re-enamelling. Vitreous enamel is a form of glass which is applied an as decorative finish to metal. It has associated properties hardness, colour stability, scratch and fire resistance. The process requires the removal of the old enamel surface by shot blasting back to the original casting. Coatings are applied before the bath is placed into a furnace for a series of firing at temperatures in excess of 800 degrees Celsius. The final outcome being the traditional white shiny finish. Baths carry a life time guarantee that the vitreous enamel will not peel off. We can arrange the collection and re delivery of your bath, with prices upon application. In addition to resurfacing and the re-enamelling of baths, we also provide a clean and restore service for dirty stained baths. This service is ideal for baths that have not lost their glaze but are in need of some TLC. This service is ideal for landlords / letting agents. Baths are restored leaving them pristine ready for the next tenant. Alscot Bathrooms stocks a great selection of authentic period style sanitary ware by Thomas Crapper & Co for customers in Solihull, Birmingham, Coventry and throughout the West Midlands. We can repair, re-chrome, nickel plate and strip back to polished brass - taps - bath/shower mixers. At Alscot Bathrooms, we can repair and resurface chrome or nickel plate or polished brass sanitary wear in a range of discontinued colours and designs and can also supply new. 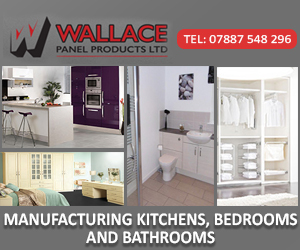 Based in Solihull, our services are available throughout the West Midlands. 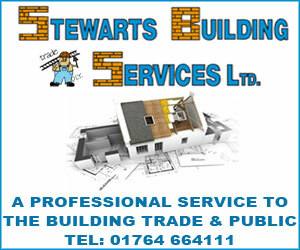 Great quality of work, very experienced and knowledgeable. All works completed on time and within budget estimate. Yet another exceptional conversion by Alscot Bathrooms. I have had my existing cloakroom in 1930s semi, converted to a downstairs toilet. Once again Norman has advised and designed , not only the conversion, but the plumbing and electrics , to produce an outstanding and beautiful new room. The fittings are wonderful , giving an overall perception that is notable and remarkable. I have now had two complete renovation and instillation projects completed by Alscot Bathrooms and I cannot praise too highly the work and perception undertaken by Noman and his team . leaving the completed work at the highest standard . My bathroom and subsequent kitchen replenishment are an absolute delight - praised -not just by me - but everyone who sees them . It has left me with no illusion for asking Norman to undertake further work in the house. Alscot Bathroom Company. 4 out of 5 based on 4 ratings. Bath after full resurface Guarantee 10 years. Roll Top restoration Resurfacing and re- enamelling. Well done to Norman and his team.